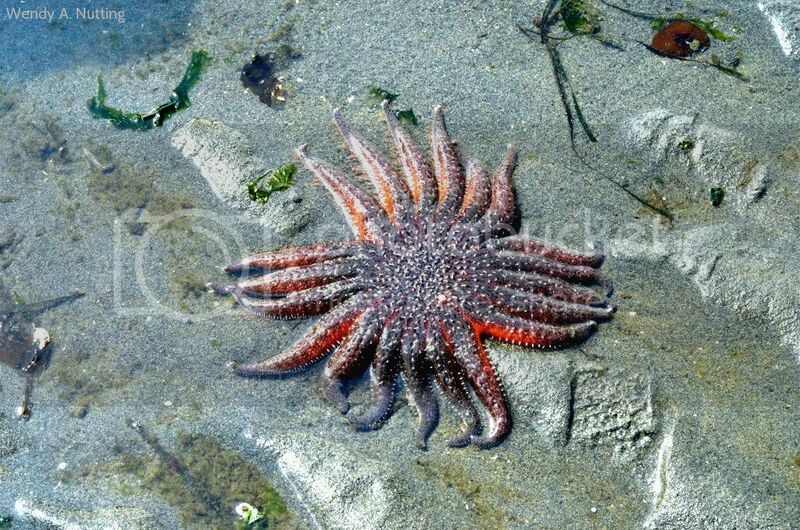 Today we decided to take in the minus low tide and see what lives beneath the chilly waters of Puget Sound. 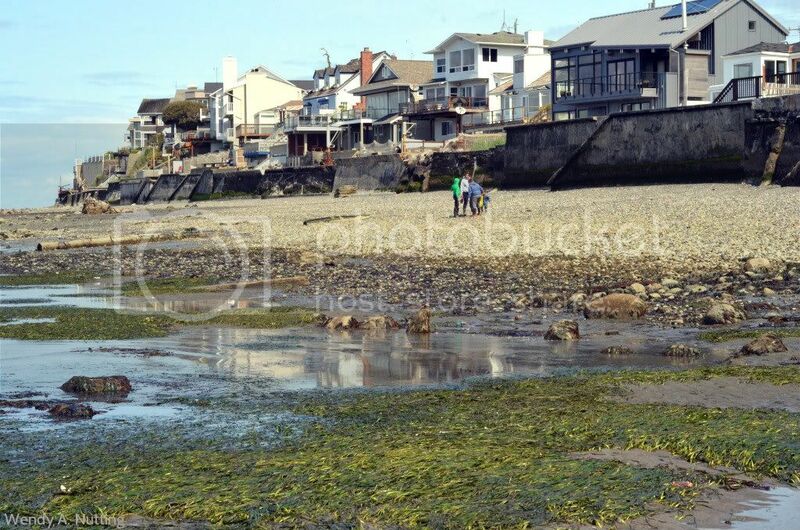 We were invited to the private beaches of Richmond Beach and while the beach was quiet with just a few other beach combers, there was plenty of action going on. 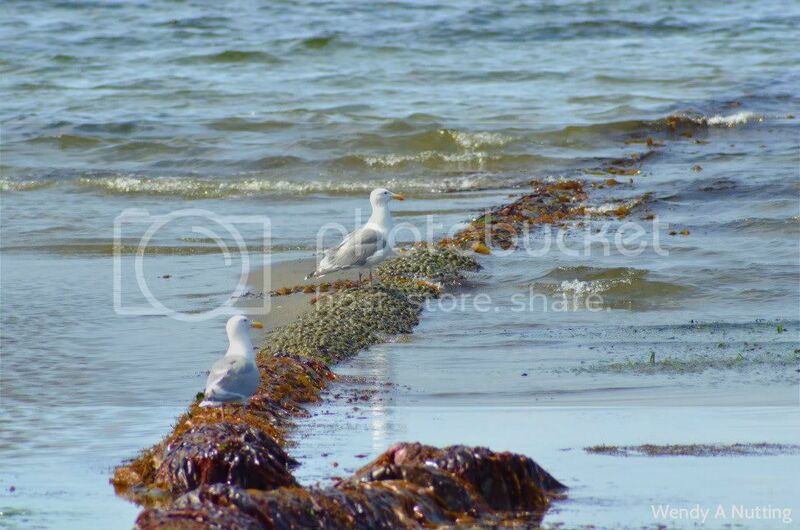 We were not the only ones anxious to see what would be uncovered when the tide went out. This very old abandoned sewer pipe provides a tucked away habitat for some seeking shade and an area worthy of searching for a mid morning snack for others. 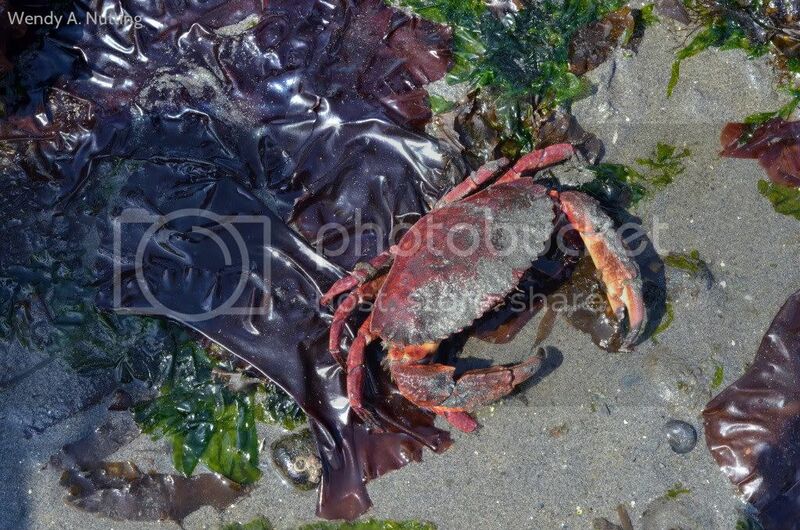 And once we found the sea life it seemed to just expoded everywhere we looked. 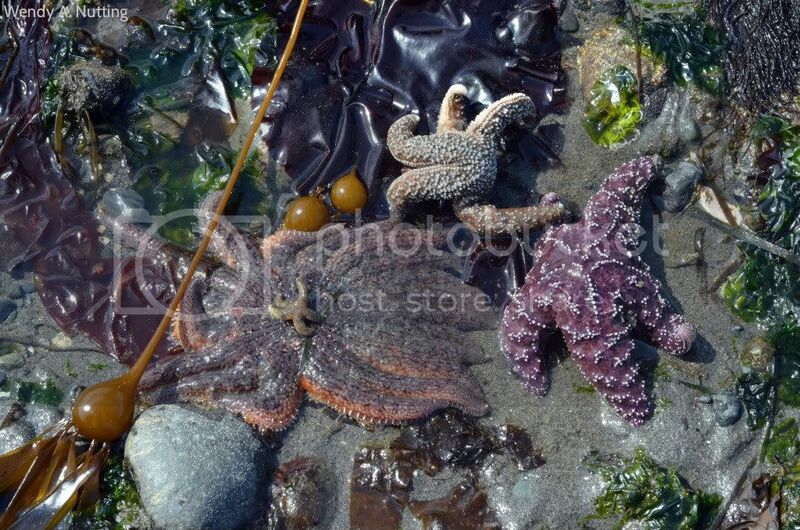 Colorful Starfish, Sea Urchins, Sea Cucumbers, Gooey Duck holes, crabs, small eels, and tiny fish. It was beautiful. Check out this big guy, and a foot print all too close, we had to be super careful where we stepped. 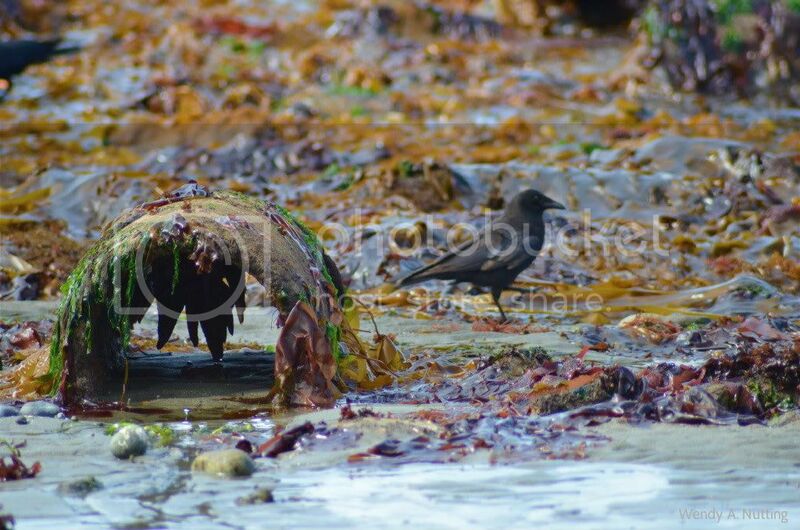 This crab seemed a bit crabby we were checking him out. 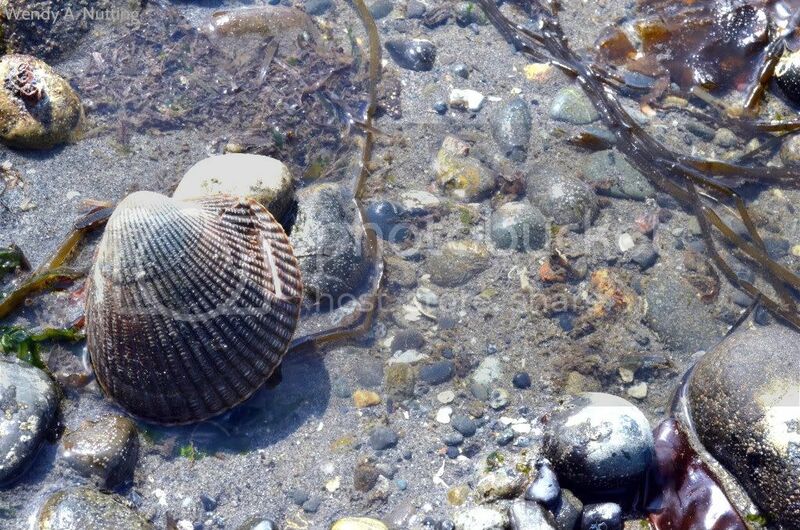 The beach was full of beautiful shells too. 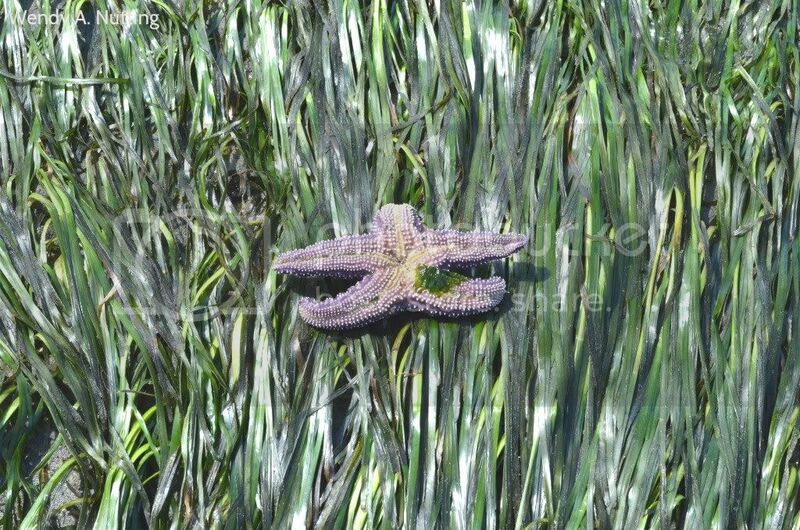 And a happy little violet starfish, who was so pretty, on a bed of emerald green sea grass; soaking up the vitamin D while the tide was out. 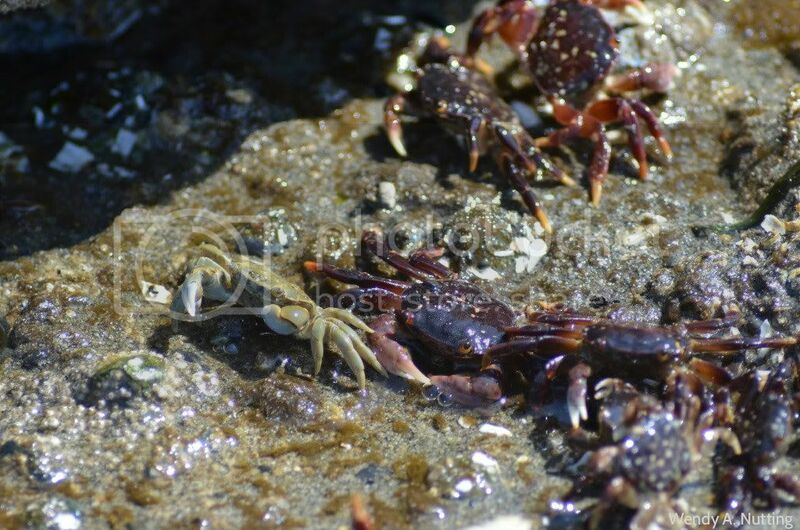 A parade of tiny crab, including an albino, they just scattered when we lifted a big barnacle covered rock. 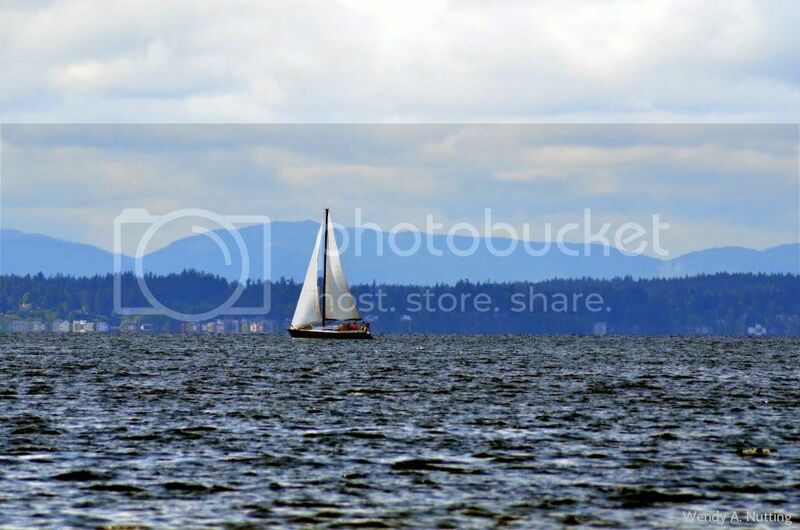 The water was also in full swing with lots of boats, I like this shot with the Olympic Mountains in the background. 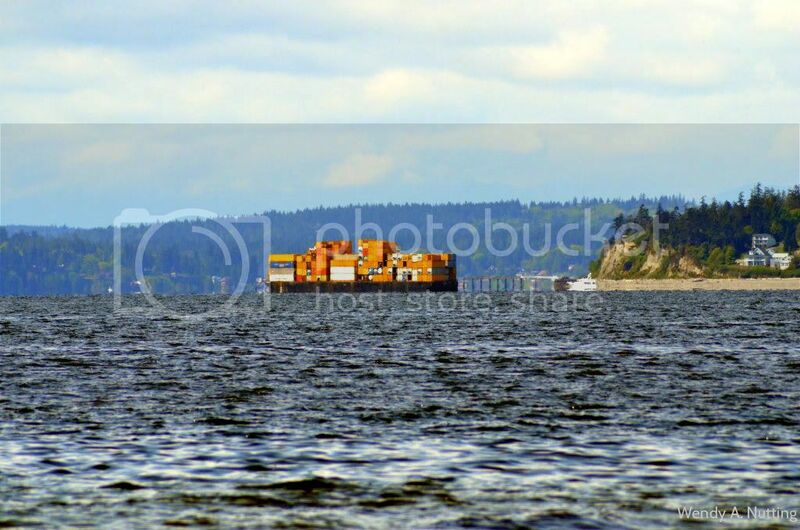 .......and this colorful container ship heading to Seattle. 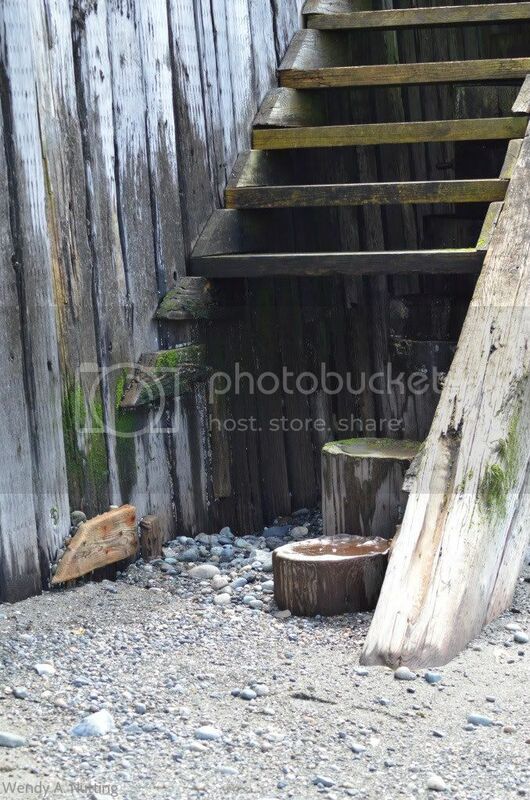 Check out all the craggy, mossy steps in front of each home. 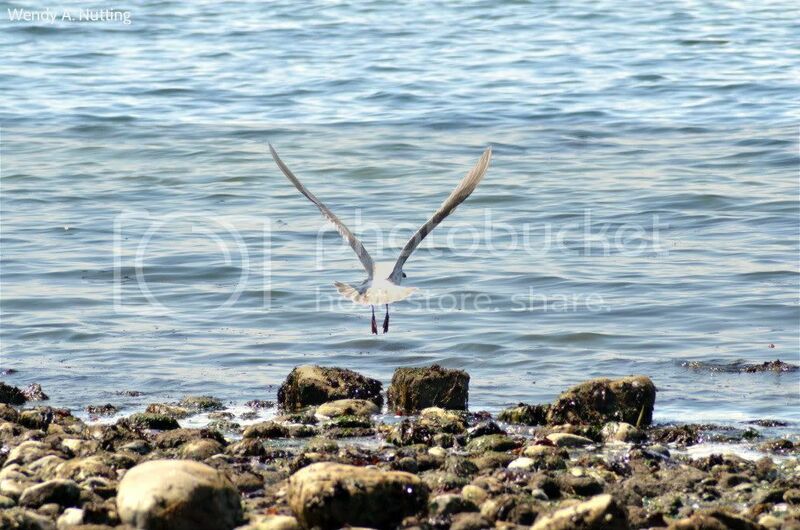 And when the tide returned, the sightseers departed, this show was over for the moment. 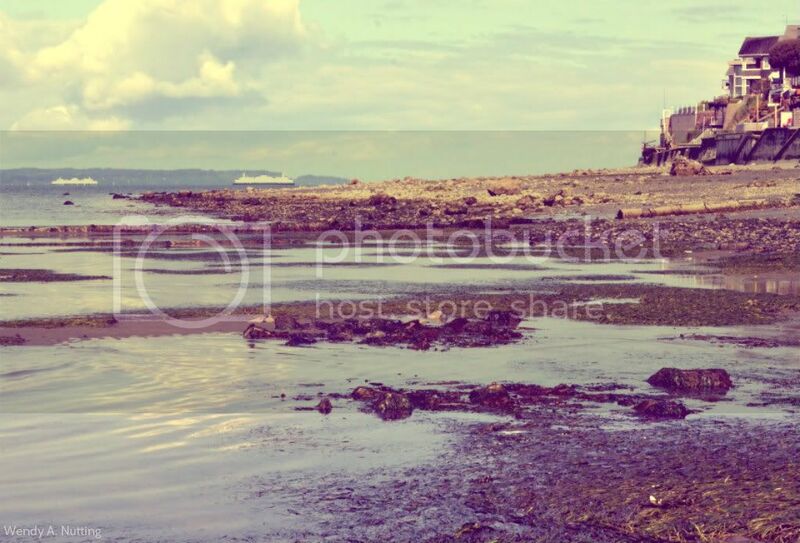 One final, "vintage" shot with the Edmonds-Kingston ferries passing in the distance.